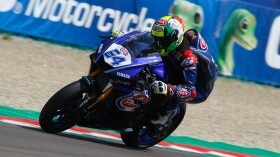 It took Jules Cluzel (NRT) a year and a half to find his way back to the top before Assen. 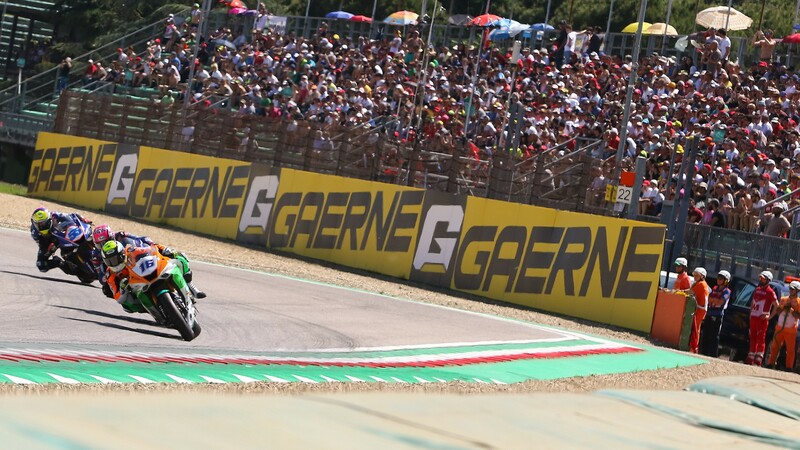 For win number 2, it has taken just 21 days, as the French rider won his second consecutive race of the 2018 FIM Supersport World Championship season. 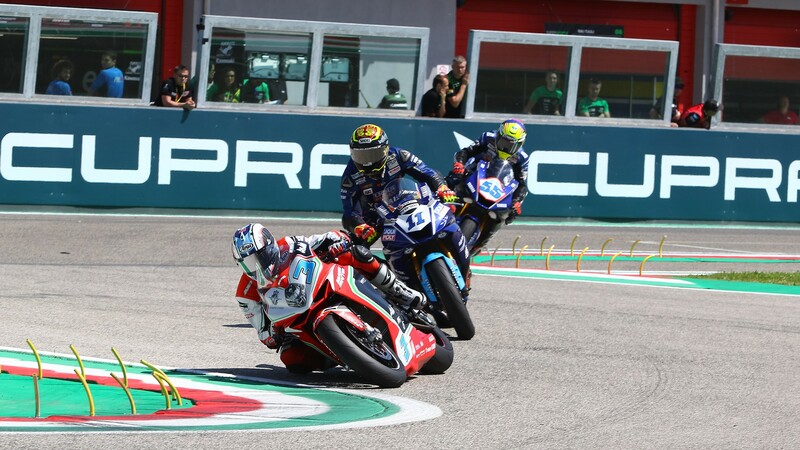 The Autodromo Internazionale Enzo e Dino Ferrari di Imola witnessed a thrilling fifth race of the year, with Italian pair Federico Caricasulo (GRT Yamaha Official WorldSSP Team) and Raffaele De Rosa (MV Agusta Reparto Corse by Vamag) in second and third. Things got emotional early at Imola. 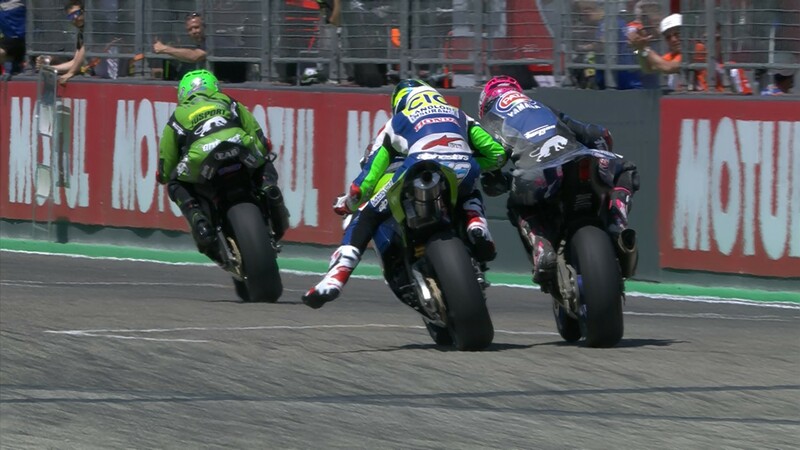 Kenan Sofuoglu (Kawasaki Puccetti Racing), who was third on the grid, decided at the last moment to not take part in what was supposed to be his final race. The WorldSSP legend climbed on his Kawasaki ZX-6R one last time, led the field one lap around the track, and headed into the pits. A final bow, on his terms, from an inimitable champion. Of course, there was still a race left at Imola – and perhaps as a tribute to Kenan’s career, it was an electric, drama-filled affair. Right from the start, five riders shot out ahead, with Lucas Mahias (GRT Yamaha Official WorldSSP Team) protecting his lead from Cluzel and Caricasulo. The reigning champion defended brilliantly until lap 6, when a slip at Rivazza left him tumbling down to 20th. The now-front four led with blistering pace, tenths of a second amongst themselves but double figures with the rest. Caricasulo, fighting to hang on after a mistake in lap 7, managed to overtake Sandro Cortese (Kallio Racing) and De Rosa in the closing stages, but Cluzel proved to be just that inch too fast, racing ahead and meeting the checkered flag, with the Italian in second. De Rosa managed to put his MV Agusta onto the podium for the second race in a row. The rider in red has grown into the championship, and adds another name to an already stacked front-end. 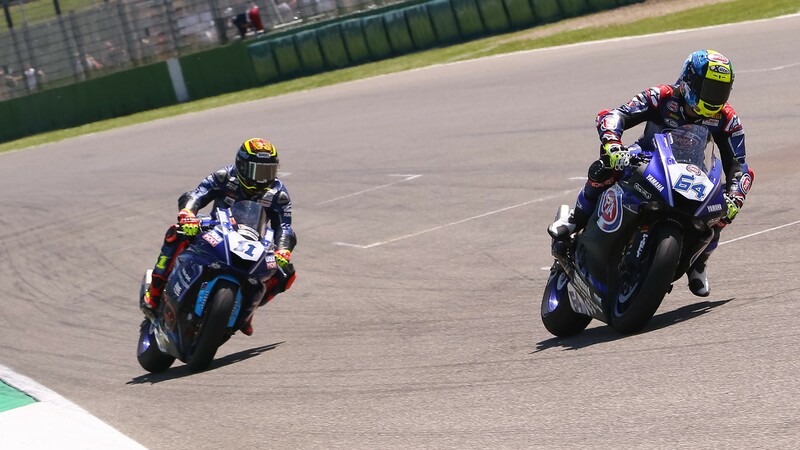 Cortese, meanwhile, finished fourth, just 0.084 seconds off. 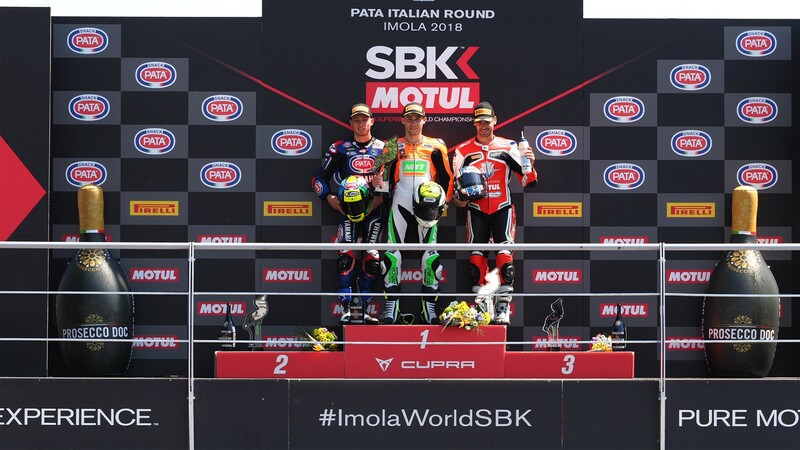 Behind the leading four, Randy Krummenacher (BARDAHL Evan Bros. WorldSSP Team) managed to climb through from 11th on the grid and becomes the new championship leader, on 81 points. Anthony West (EAB antwest Racing) made a triumphant return from injury with sixth place, while Mahias, in full-damage limitation mode, was beaten to seventh by Niki Tuuli (CIA Landlord Insurance Honda) by just one thousandth of a second. The Frenchman relinquishes his championship lead, but remains just two points behind Krummenacher. Most importantly, however, the distance between first and fifth is now down to just 12 points. 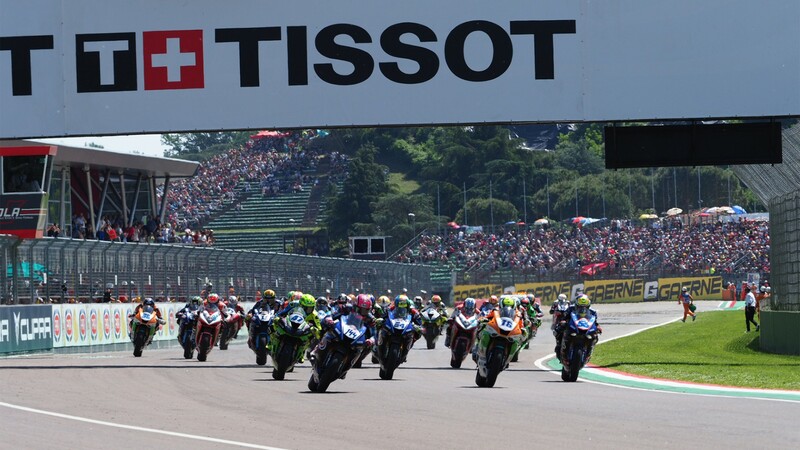 Completing the top ten, Luke Stapleford (Profile Racing) came in ninth, scoring valuable points to keep him in touching distance with the front riders, while Hikari Okubo (Kawasaki Puccetti Racing) finished the race in tenth. 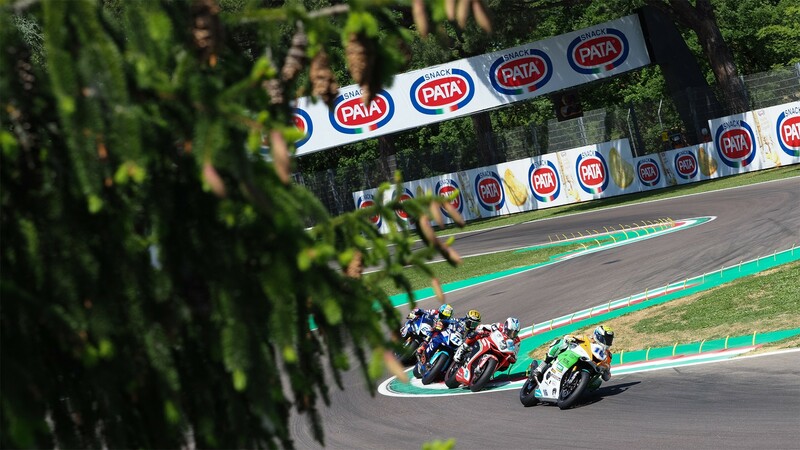 The World Supersport championship returns in two weeks-time from Donington Park, UK! 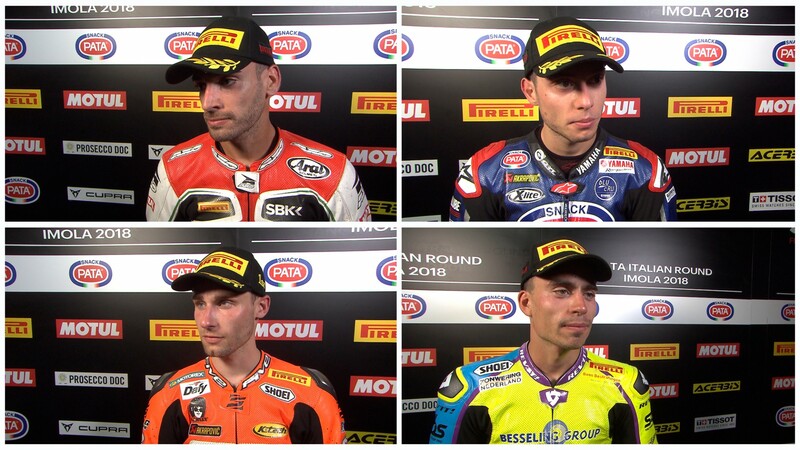 Catch all the lead-up to the sixth race of the championship, and don’t miss any of the action from Imola, thanks to the WorldSBK VideoPass.